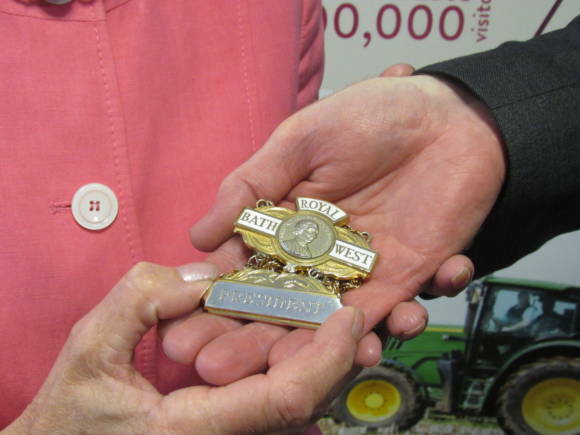 Mrs Mary Prior CVO MBE JP is the New President of The Royal Bath & West of England Society. Former Lord Lieutenant of Bristol, Mrs Mary Prior CVO MBE JP is the new President of The Royal Bath & West of England Society. 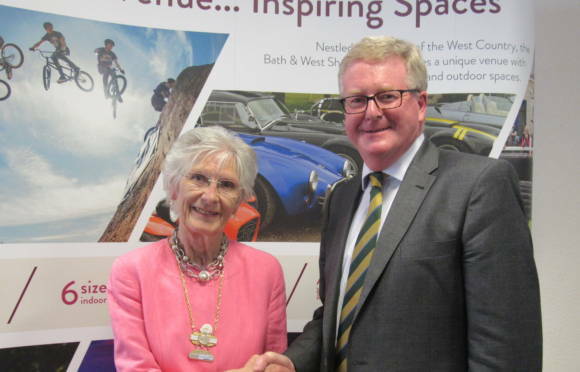 Mrs Prior took over the reins from outgoing President, Sir John Cave Bt DL at a meeting of the Society Council at the Bath & West Showground on Thursday 20 July 2017. Handing over the presidential badge of office, Sir John said: “It has been a great honour to be President over this last year and although I sadly had to miss The Dairy Show in October, I much enjoyed The Royal Bath & West Show. Staying on site for the four days meant that my wife and I could get a real flavour for the Show, both during the busy day times and ‘after hours’. “There was an excellent atmosphere over the four days; amongst all those that work for the Society, the volunteer Stewards, all those that exhibit and the visitors that come for a good day out. This last year in office has passed rapidly and I hope very much to attend the Show in future.